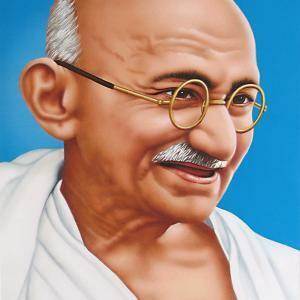 Mohandas Karamchand Gandhi was born today about a century and half ago and he breathed his last in Delhi. To celebrate 150th birth anniversary of Mahatma Gandhi, the Delhi Department of archaeology has illuminated three monuments with the three colours of the national flag – Saffron, White and Green. The chosen heritage structures are Gol Gumbad near Lodhi Hotel, Bijri Khan’s tomb near Sector 3 in R.K. Puram and mausoleum of Paik at Mukarba Chowk on Delhi- Karnal bypass. This illumination on monuments will remain from 7pm to 11pm till 9th October 2018. This is located at the premises of Harijan Sevak Sangh near Kingsway Camp. This is a museum after renovation and both Mr. Gandhi with his wife spend 180 days. Mahatma Gandhi’s heartbeat reverberated through the National Gandhi Museum which is located near Rajghat on the occasion of his 149th birth anniversary. The sound of his heart left tourists emotionally charged and felt connected to the Father of Nation.